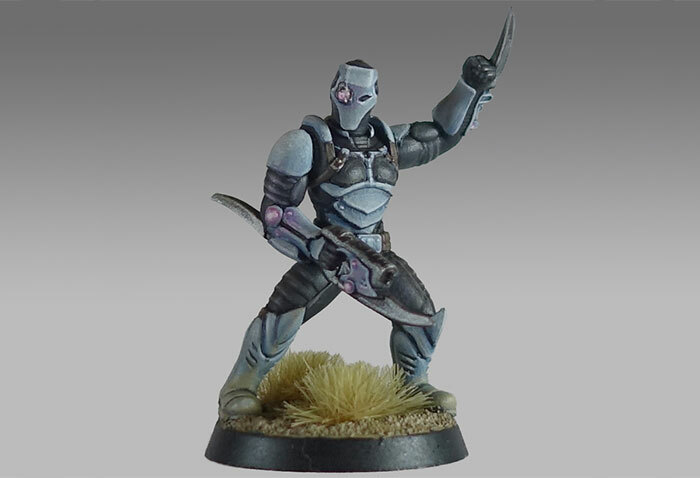 I'm taking a little break from new releases this week to have a look back at another of the original release units - The Karist Shadow Walker! 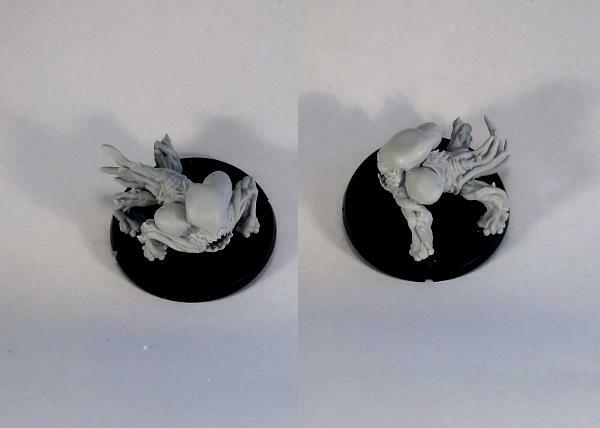 The Shadow Walker sprue contains two different torsos (twisted in different directions from the front) and two of each arm in different poses. 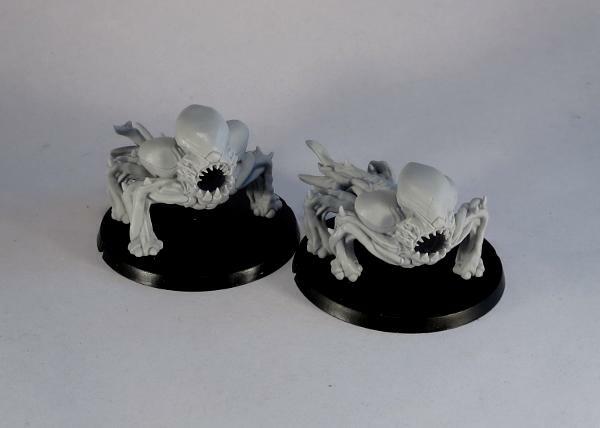 This allows you to create two very different, dynamically posed models from those parts. 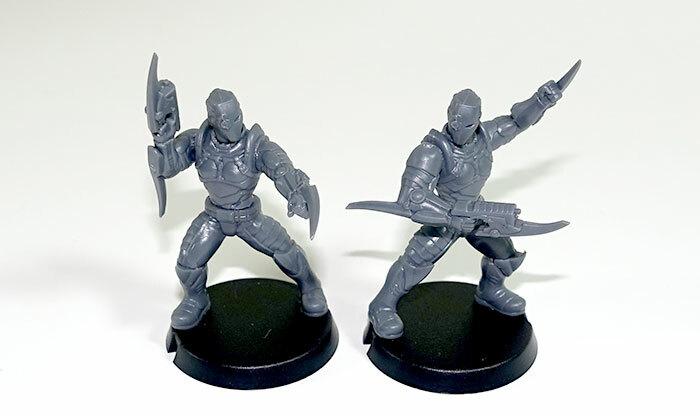 You can find the general assembly guide on the Maelstrom's Edge website here. 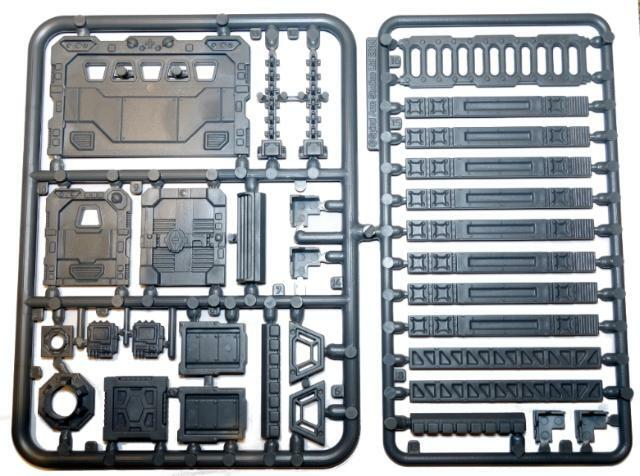 Somewhere along the design process, the sprue went from being intended to create a single model to including parts for two full models with the lack of only a second head. 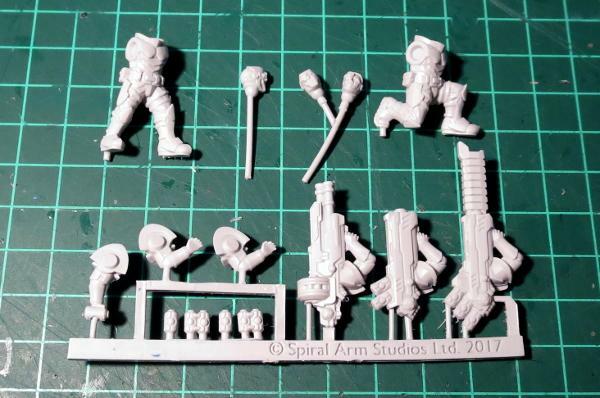 Luckily, several other Karist kits come with extra heads, so it's not too difficult to purloin a leftover in order to build that second Walker. 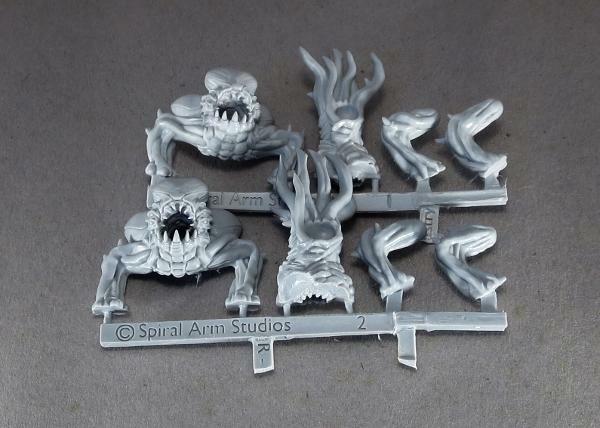 The right hand model below uses the bare head from the Karist Trooper sprue, and there's another bare head available on the Faction Expansion Sprue. 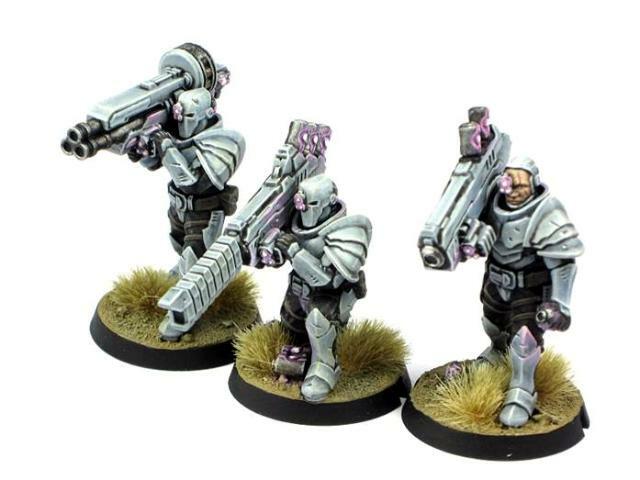 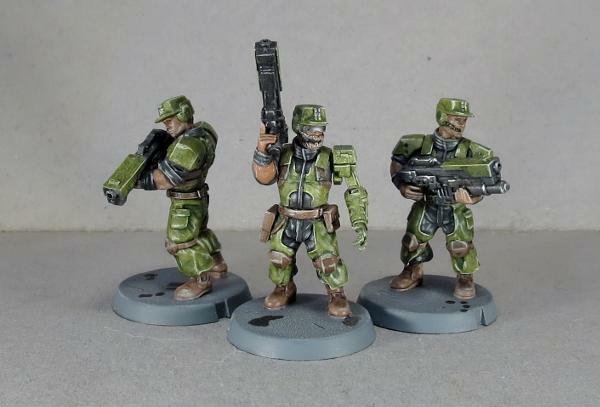 Alternatively, the resin Karist Heavy Weapons set comes with two troopers and three heads - two helmeted, and one bare. 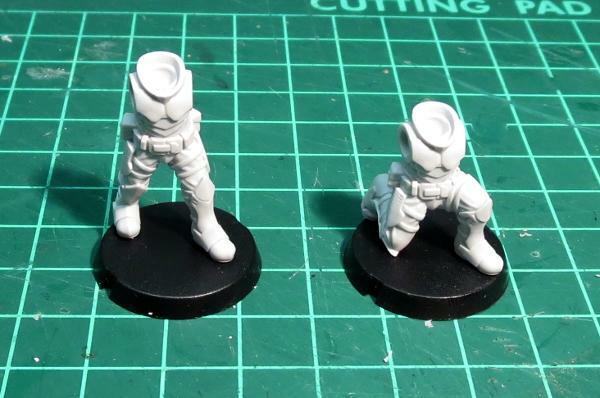 The helmeted heads are very similar in style to the Shadow Walker's, with a couple of extra eye lenses. 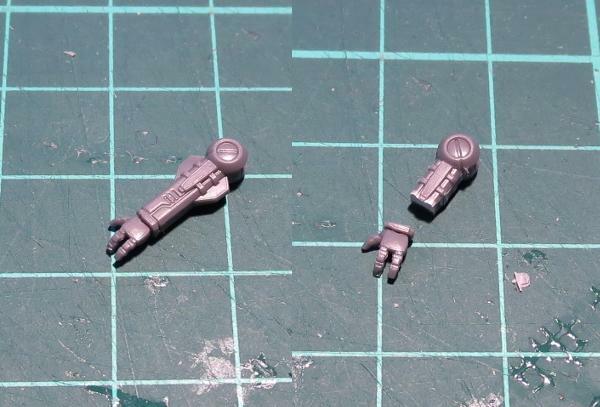 The model below has also been reposed slightly, with the right arm extended and filled with 'green stuff' putty, and the right shin repositioned so that his front foot matches his line of fire. 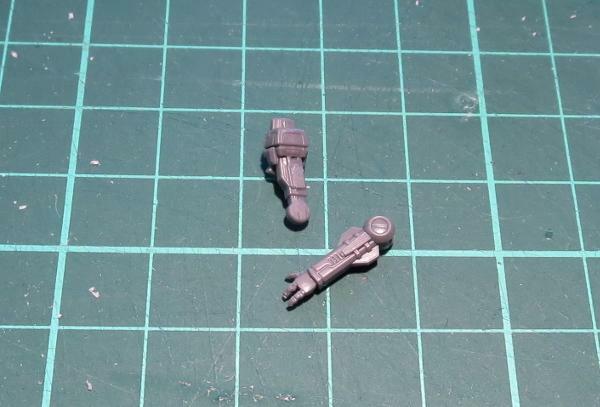 Borrowing parts from different kits does, of course, work both ways. 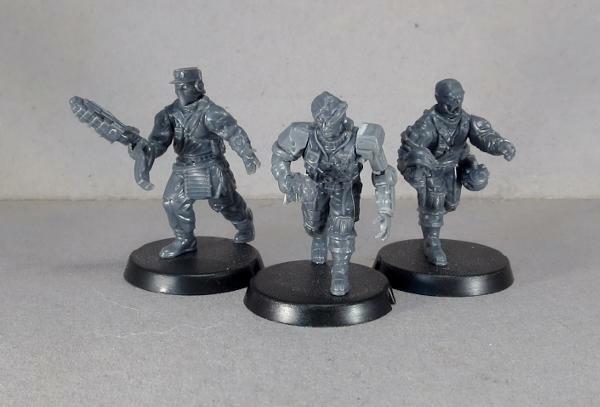 The Karist Praetorians below were given Shadow Walker legs to help them stand out a little from regular troopers and to create a more dynamic pose than is possible from the Trooper legs. 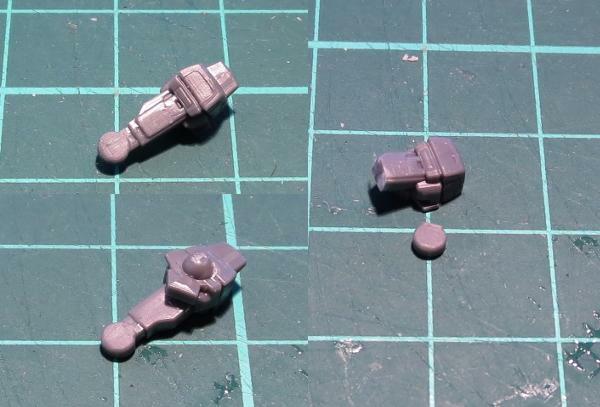 The added loincloths are from the Faction Expansion sprue. 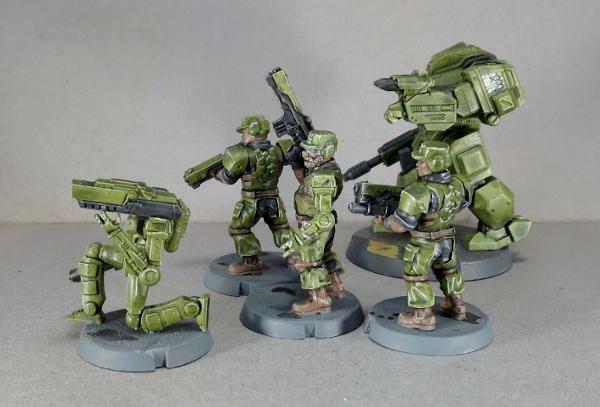 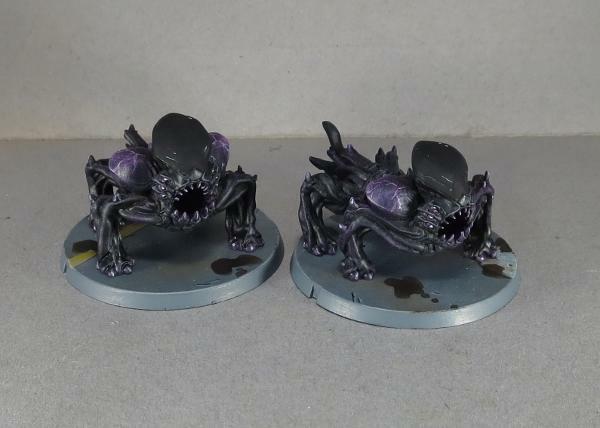 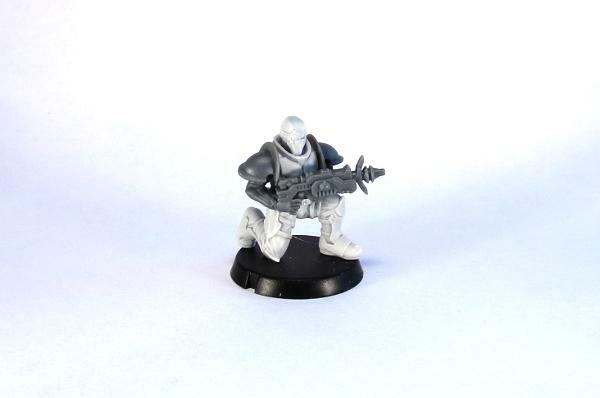 As I was working through these models, I found myself wondering what it would look like if Shadow Walkers had their own specialised mini-factions. 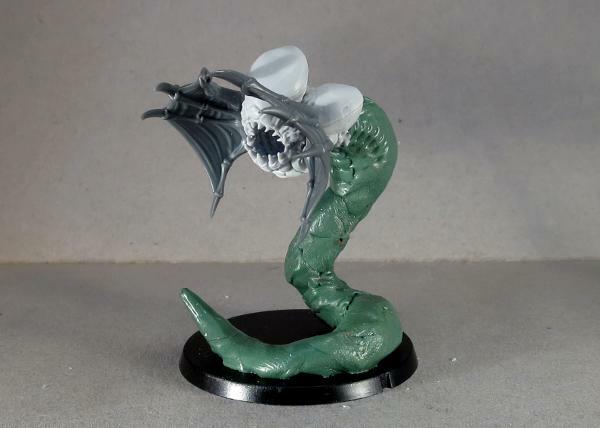 From there, I wound up with the 'Shadow Dancer', carrying a regular cybel blade on place of the usual Shadow Walker's wrist-mounted version, and with an added prehensile, mechanical topknot which, I expect, would whip around as the Dancer flips and whirls about his opponents, and shoot out toxic darts or hallucinogenic gas from the emitter on its tip. 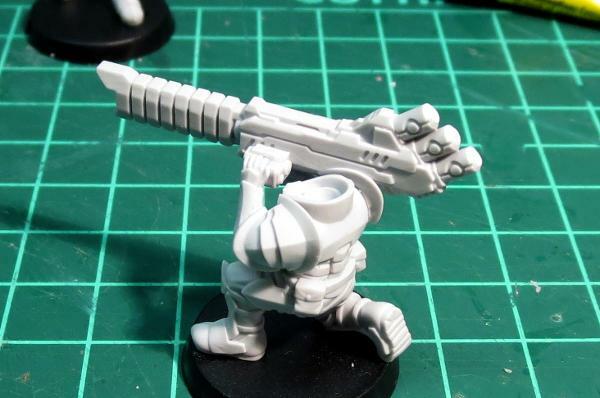 The cybel blade was taken from the faction expansion sprue, and the topknot made from a piece of guitar string and the muzzle from a Karist radwave emitter. 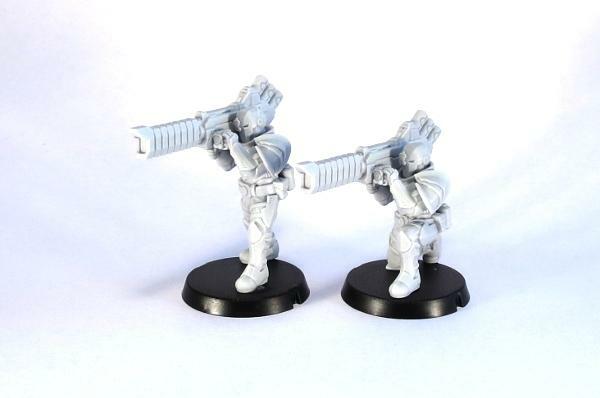 By contrast, the 'Shadow Stalker' eschews close range combat where possible, opting instead to carry out his work from afar with his nox rifle. 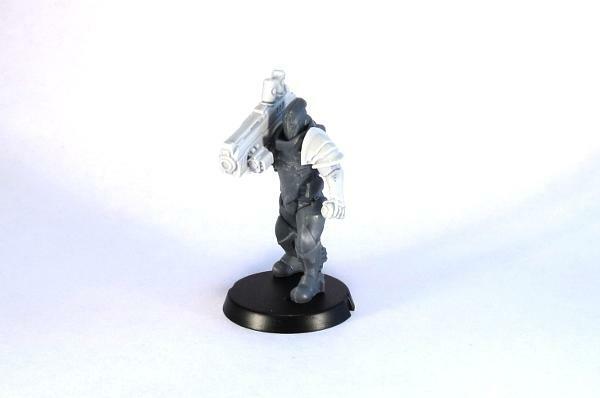 This model has an assault rifle arm taken from the new Broken Forsaken Tech Chieftain model with the bayonet and muzzle removed and a silencer made from a length of plastic tube attached. 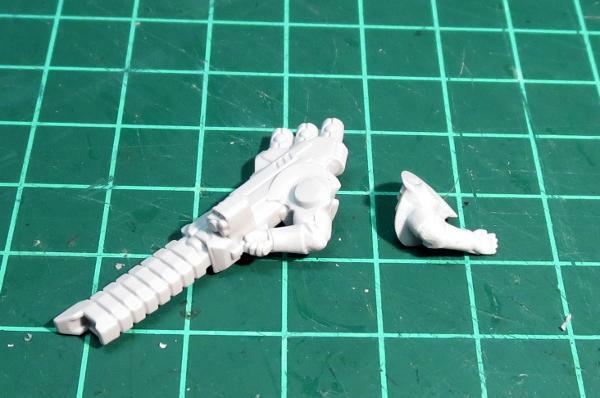 The head is the bare head option from the Karist Heavy Weapons pack. 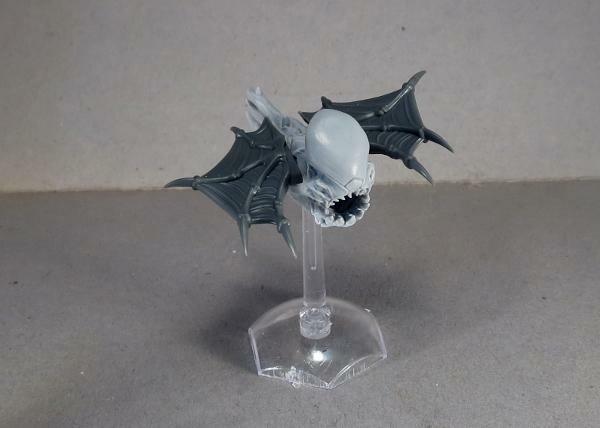 I don't have a name for this next one yet (feel free to leave suggestions in the comments!) 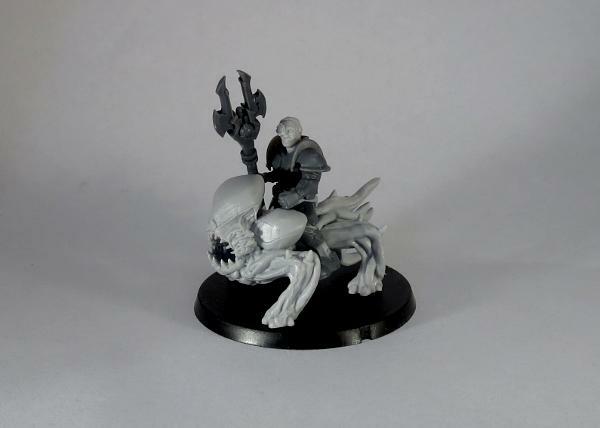 but how about a Shadow Walker sect that has found an alternative to teleporting? 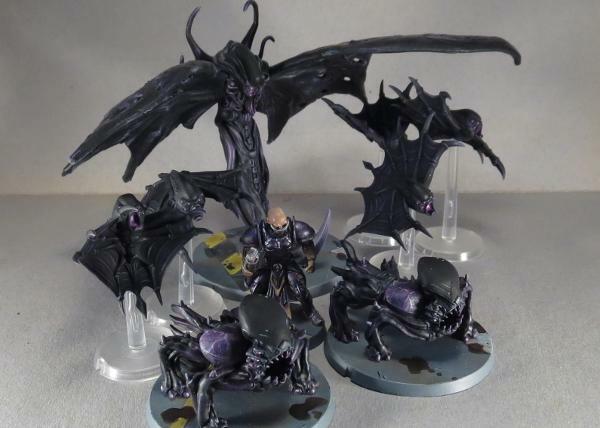 Using arcane science to fuse Angel DNA to the human form, this Shadow Walker variant is equipped with void-gel wings! 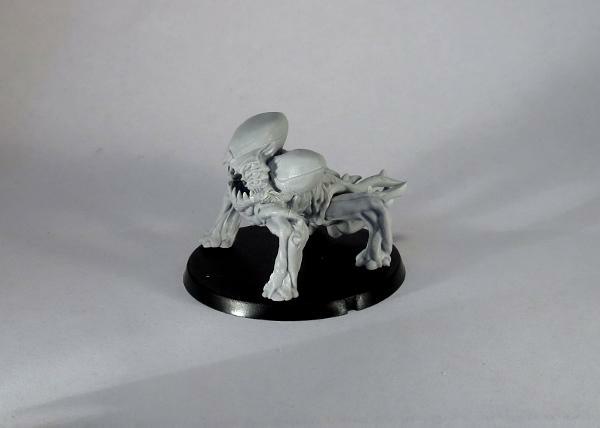 Of course, if you're going to have bizarre sub-sects of the Karist Walker breed, it wouldn't be too surprising to have a clandestine offshoot of the regular Kaddar priesthood overseeing them. 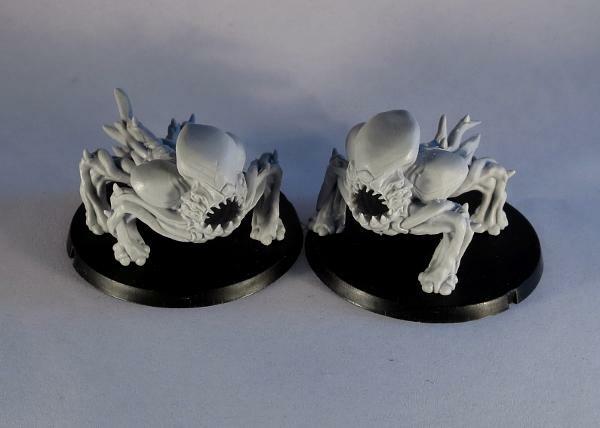 And so the Kaddar Noctis was born - like the flying Walker above, this model fuses Human and Angel DNA, with the traditional Shadow Walker cybel blade replaced with an Angel's void-gel tentacles. 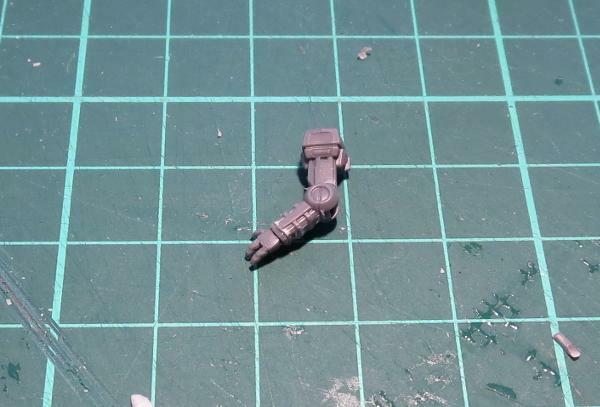 The legs and torso are from the Kaddar Nova sprue, with most of the Cybel reactor removed and replaced with a modified cybel glaive head from the Faction Expansion sprue. 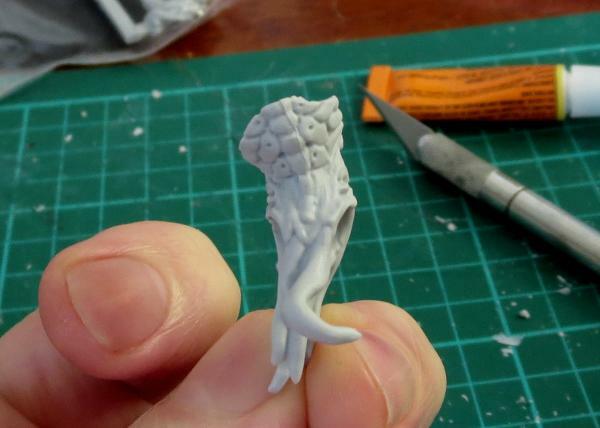 Arms and head are from the Shadow Walker sprue, with the small tentacle parts taken from a pair of Mature Angel models. 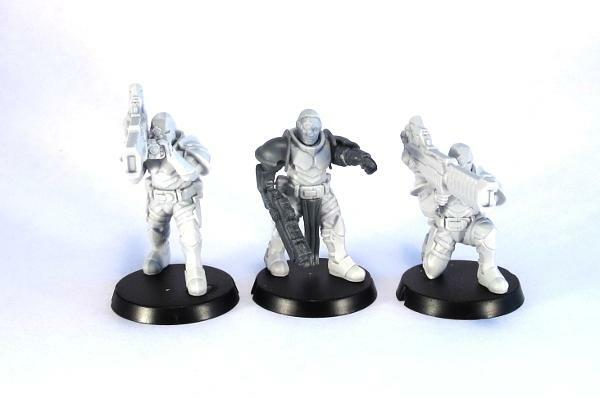 To add some sneaky, pointed 'negotiation' to your own Karist Force, you can pick up the Shadow Walker along with the rest of the Maelstrom's Edge model range from the webstore here.